Hawk Falls at Hickory Run. 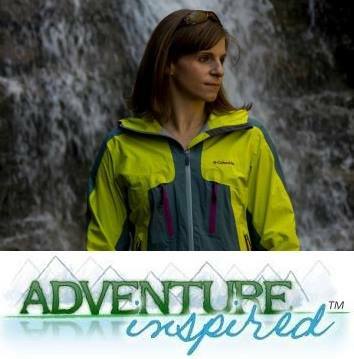 Early on in my outdoor life, I always used to think that if I didn't have an epic adventure on a giant mountain somewhere, spend several days on a trail, or achieve something new in rock climbing, it wasn't a significant adventure. But these days, I'm learning to appreciate every adventure I have, no matter where or when, because even a short walk in the woods can be restorative. With that new perspective came an appreciation for Northeastern Pennsylvania outdoor destinations I didn't used to appreciate enough, including last weekend's hiking destination - Hickory Run State Park. It's small, not too far from home, doesn't have towering mountains or hundreds of miles of trail to explore, but it's still pretty special. At just under 16,00 acres, but chock full of unique and beautiful sites to see, it's easy to understand why Hickory Run was chosen by the Pennsylvania Department of Conservation and Natural Resources (DCNR) as one of "Twenty Must-See Pennsylvania State Parks." I've visited the park and the area for winter camping trips and summer hikes, but was eager to visit two of my favorite spots in autumn. The Boulder Field Trail starts in a giant, grassy field, then heads straight into the woods. Beautiful foliage this year! Favorite Hickory Run State Park spot number one? The boulder field, a giant span of rocks seemingly dropped randomly in the middle of the forest. The boulder field is a result of the freeze/thaw process in nearby ridges over thousands of years. As the ridges broke apart into large boulders during summer melts and winter freezes, glacial ice melt carried the boulders into the valley to where they sit today. As the glaciers receded and water melted, smaller rocks and sediment were carried away, leaving the stack of boulders behind. (Source.) The top of the boulder layer is level with the ground after years of compressing the underlying soil, and as a hiker, it's hard to resist boulder-hopping when you get to the field. The field is accessible by car or on foot via the 3.5 mile Boulder Field Trail. Though it's great to be able to jump out of the car and on to the boulders, I much prefer the scenic route. After parking in a small lot off of PA 534, friend Shawn and I headed out and only saw two other hiking parties on the trail. The park map has all trails labeled with letters, making them easy to find, and all hiker-only trails are blazed yellow. The trails were a little wet, but completely covered with beautiful leaves! The rhododendron, right, is green year round. The first half of Boulder Field Trail is wide enough for two hikers to walk side by side, then narrows as you approach the boulder field. The trail runs through sections of beautiful hemlock and beech stands, and the closer you are to the boulder field, the more tall, straight spruce trees you'll see. I'd only been on the Boulder Field Trail in the summer and last weekend, we were treated to some pretty spectacular fall colors. We spent some time wandering around the boulder field, and, unfortunately, found a good bit of graffiti on the rocks. It's always a shame to me when I see something like that, even initials carved in trees. It might seem like a harmless act, but in most cases, the desecration is permanent. After hopping boulders and stopping for a snack, we turned around to head back. The out and back trip took us just over three hours. Shawn on our snack break in the boulder field. See if you can spot the people at the other end of the field. It's huge! Overall, it was a perfect fall day hike. Do you have a favorite local spot or two you visit for day trips, no matter the season? What's your favorite season to go hiking? Do you have any state parks near you with super cool features? Sound off in the comments! I did this hike a few years ago and had a surprise encounter with a mama black bear and three cubs. They weren't aggressive, but it was quite a surprise on a solo hike. Wow, really?? It's amazing to me that bears would be around an area that's typically crowded. I'll make sure to keep my eyes open next time! That's what I thought, too! This was about halfway between the trailhead on PA 534 and the Boulder Field. It was mid-week, so there weren't many other hikers on the trail.